The Hausmann Industries Ramp and Curb Set is a medical training device designed to facilitate ambulation and mobility training in patients undergoing exercise, balance and rehabilitative therapy. Robust and Sturdy. 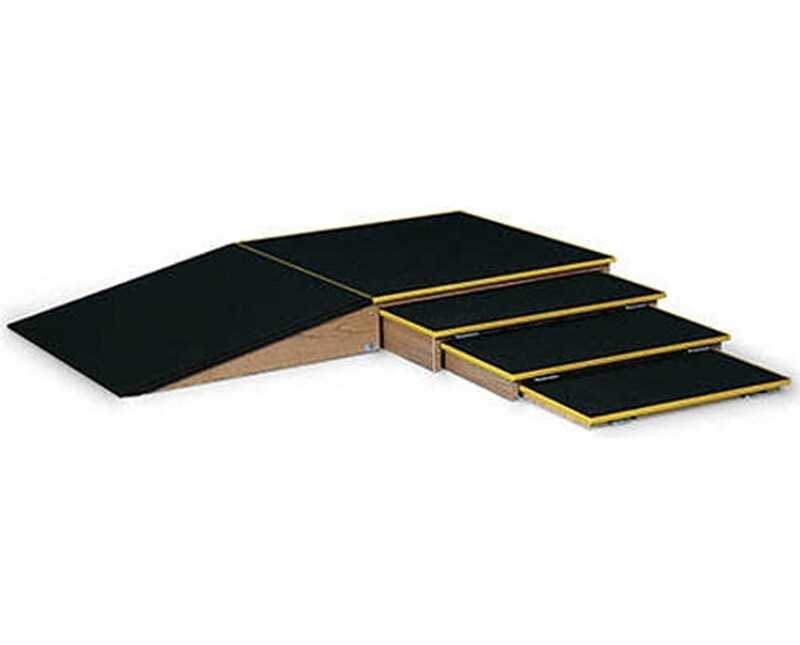 Featuring a durable oak laminate wood construction, the Ramp and Curb Set has an anti-slip safety matting on the top surface for consistent traction while preventing slips and falls. With a 44" incline, the ramp elevates from 1/4" to 8" high and has a flat platform of 44" x 44". It includes three (3) curbs of 2", 4" and 6" height with different sizes that nest under the ramp. Each curb features BriteStep™ with 3mm yellow edging on all sides and can be removed & use separately or can be arranged to extend in any of the 3 directions. 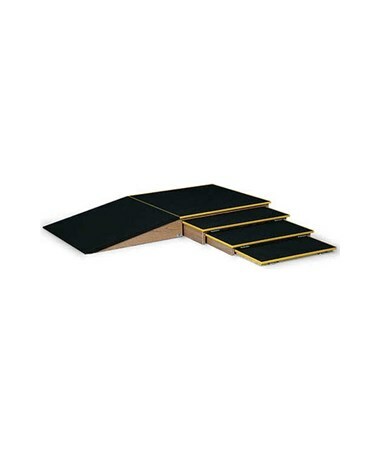 The Hausmann Industries Ramp and Curb Set come in an overall size of 88" L x 44" W x 8" H and a weight capacity of 350 lbs.